Home Shop by Category Shaving Creams Taylor of Old Bond Street Sandalwood Shaving Cream Bowl 150gr. 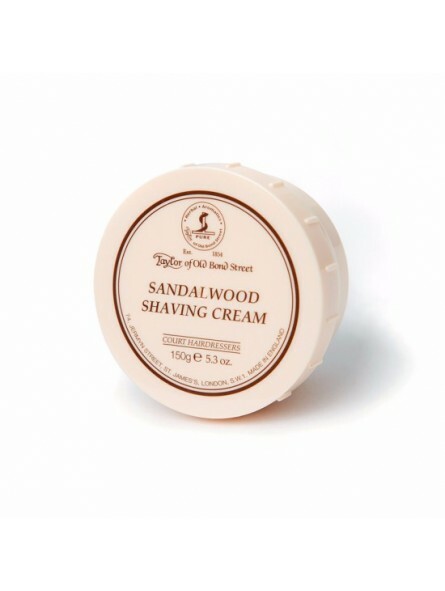 Taylor of Old Bond Street Sandalwood Shaving Cream Bowl 150gr. 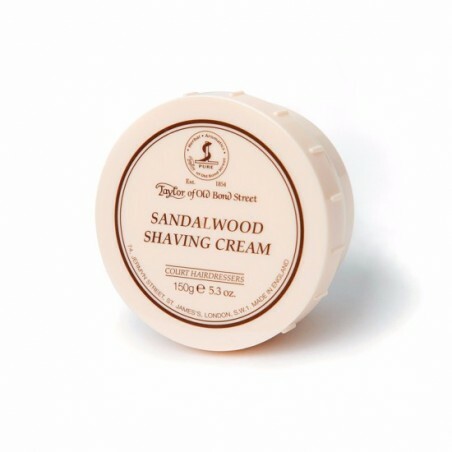 Taylor of Old Bond Street Sandalwood fragrance shaving cream bowl 150g. A luxury Shaving Cream that allows you to create a unique creamy lather using just a small amount that will also protect and moisture your skin during shaving. Sandalwood Fragrance Notes: A classic fougere fragrance with top notes of geranium, lavender, rosemary and liquid amber combining carnation, fern and orange blossom resting on a sumptuous base of patchouli oil, sandalwood, vetiver, powdery musk and rock rose.